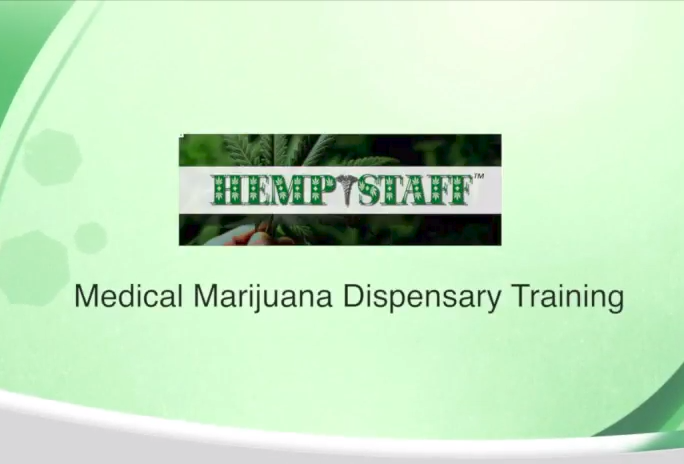 HempStaff formed in 2014, as a pioneer cannabis staffing agency. Since that time, we have helped hundreds of cannabis businesses with NO UPFRONT COST and no exclusivity requirement. We understand just how important being a marijuana recruiter is – no matter if it is hemp, recreational marijuana or medical cannabis – it’s all about finding the right team members that will work towards one goal, building a successful business! We service all of North America, including the US, Canada and Puerto Rico. We have a large team of cannabis recruiters in our cannabis staffing agency, no matter where you are located HempStaff can help! As a business owner, your time is better spent running the day to day operations of managing a business. Do you have the extra time to sit around and browse through the hundreds of resumes you will receive every time you post a job? This can be frustrating, especially when three quarters of them don’t even remotely match the job requirements you set forth in your description. A cannabis staffing agency could be your solution! 50,000+ ready to work candidates in the HempStaff database. Established in 2014, we have one of the largest candidate databases of any cannabis staffing agency. We also have a dispensary agent training program for entry level positions across the nation. All candidates will be pre-screened by HempStaff to make sure they meet your requirements, prior to sending you their resume. We conduct the Criminal Federal Background check for you, once an offer is made, at no charge! You DO NOT PAY ANYTHING to start a search, invoiced only once the candidate starts working! No exclusivity requirement, feel free to work with as many cannabis staffing agencies as you wish – we have confidence we will bring you the best candidates. When searching, we screen through the HempStaff database first, while our cannabis industry recruiters also search through their contacts and online for your perfect candidate. Fill the job 1 TIME. We can offer better fill ratios than competitors, as HempStaff concentrates only on PERMANENT Placement. YOU CAN FOCUS ON YOUR DAILY OPERATIONS, and running your business instead of constant candidate screening for your next opening. Salary negotiation is simple, and stress free. 90 Day guarantee, if the employee quits, or gets fired. We will “Backfill” it ASAP, for FREE. Unlike most cannabis recruiters, we hold both national liability, and professional insurance for your extra security. We will help your business grow, and have the resources to be with you the whole journey, when you have an opening we are just an email away. You have an Account Manager to work with you the entire way, and understand EXACTLY what you are looking for. An approved Salary Range, and/or Hourly Wage. Date, and location you need the position to start.There is no cost to try our recruiting services and see what type of employees we can find for you! Contact Us today and start getting qualified resumes sent to you! How We Help As Hemp & Cannabis Industry Headhunters? HempStaff understands just how important staffing is in the cannabis industry – finding the right team members, that will work towards one goal–building a successful business! As is standard with recruiters in other industries – there are NO UPFRONT COSTS and no exclusivity requirement to you as the client, something unique among cannabis staffing agencies! You do not pay anything until one of our candidates starts their first day of work with you. Other recruiting firms in the cannabis industries may charge upfront fees or require an exclusive contract, but HempStaff sticks to traditional recruiting models with no upfront fee. Charging an upfront fee or requiring an exclusive contract in the recruiting field is usually a red flag that the firm does not have confidence they can find you the right employee quickly, so they lock you in by charging you in advance and not letting you shop around for the best candidate. We invite you to use as many cannabis recruitment firms that do not charge advance fees and have no exclusivity requirement, as we are confident HempStaff will deliver you the best candidates! HempStaff currently has over 50,000 candidates in our recruiter databases, some with previous experience and some without, all looking for jobs in the marijuana industry. As Cannabis Industry Recruiters, we have the resources on staff that are needed to efficiently narrow down the search through these hundreds of recreational or medical marijuana job applications that you will receive, thus speeding up the process so that you can get that new team member on board that much quicker and reducing turnover in the process by finding the proper candidate. We’ll spend time with you to get that exact job description, requirements and necessary experience preferred for the job opening you currently have. Once we find candidates that match your requirements, we will contact them and do a pre-screen phone interview with them prior to presenting them to you for your review. We will act as a liaison, setting up and confirming interview dates and times-alleviating you from hours of pre-screening and scheduling work – this is especially important when trying to search for those high level managers such as a Cultivation Director or Dispensary Manager. Once you’ve made your final selection, we will also conduct a nationwide felony background check through one of our professional partners, to ensure there are no surprises when you go to apply for their work cards. We all know how much time and effort is needed to go through the hiring process, looking for that perfect employee that will stay with you for years! HempStaff has seen first-hand how the proper recruiter can greatly reduce the time and stress, while increasing the productivity of your marijuana establishment. So how does it work? Marijuana industry recruiters work the same as other industry recruiters. We try to keep the process as simple as possible. With one phone call, you can advise us of your needs, we’ll create an agreement, complete with all the position details and then you just sit back and wait for us to send you top notch resumes from candidates’ whose qualifications most closely match the requirements you set forth. Since we pre-screen and speak with each candidate personally before sending you their resume, our cannabis recruiters can speak to you about each candidate’s personality as well as their skills prior to you and your team interviewing them. Note: We are cannabis industry recruiters (recreational marijuana, medical marijuana and hemp) for cannabis-touching employees working in state or federal licensed cannabis establishments in the United States, Canada or Puerto Rico. We only charge a one-time finders fee, based on annual salary, if you hire one of our candidates (you will not be charged ANYTHING until one of our candidates starts their first day of work). If you find that perfect candidate on your own, or if you don’t feel our candidates are what you were searching for and choose not to hire any of them, there is no cost to you! It’s as simple as that! HempStaff offers a wide variety of services for your Hemp Farm, Marijuana Dispensary, Cultivation Center, Testing Laboratory or any other establishment. Our specialty as marijuana industry recruiters, are finding those high level management positions such as Cultivation Directors, Dispensary Managers, Master Extractors and other positions that require several years of legal experience and possibly relocation. Additionally, we have successfully filled entry and mid-level positions or even an entire team at once for a recently licensed cannabis company getting ready to launch their business. With a HempStaff partnership, your staffing needs, no matter what type of marijuana license you have obtained or are applying for, can be efficiently fulfilled. Additionally, our Dispensary Agent Training will ensure that all of your dispensary team members are properly trained and ready to work from day one. We are a one stop shop to help you efficiently find qualified candidates for your full-time or part-time openings in the cannabis industry! There is no cost to try our recruiting services and see what type of employees we can find for you!